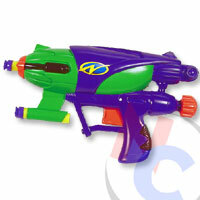 Introduction to gun: This gun was one of many guns Nerf re-released during the 2001. The original 750 was one of the best pump pistols ever made. I expected the same from this one.